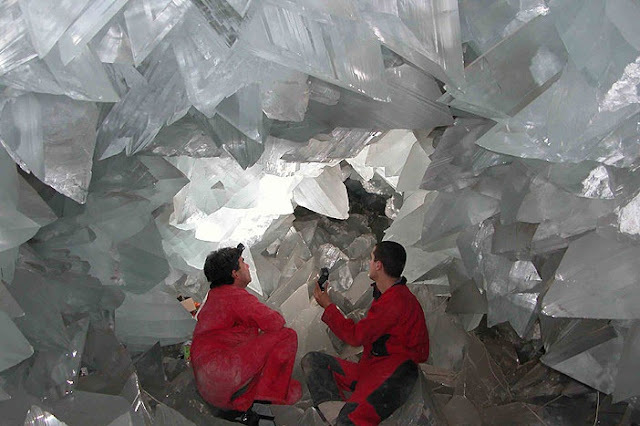 The Naica mine caves in Mexico bears the largest crystals ever seen. The Crystal Cave, where these crystals are located, is closed to the public because of its depth, heat and other issues. 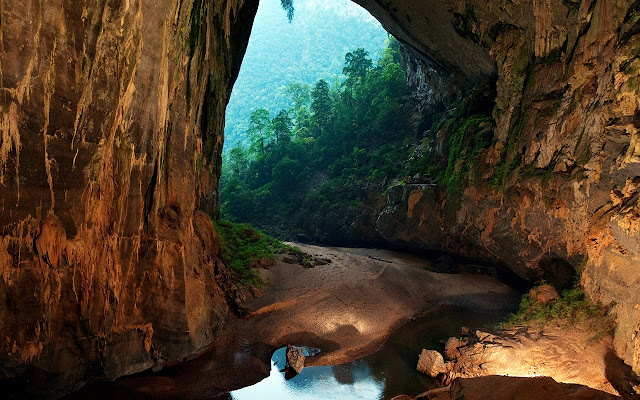 The Son Doong cave in Vietnam is the largest currently known cave in the world. It is filled with countless wonders including isolated ecosystems, weather systems and geological formations. Ice caves like these form in the glaciers surrounding the Mutnovsky Volcano in Russia. 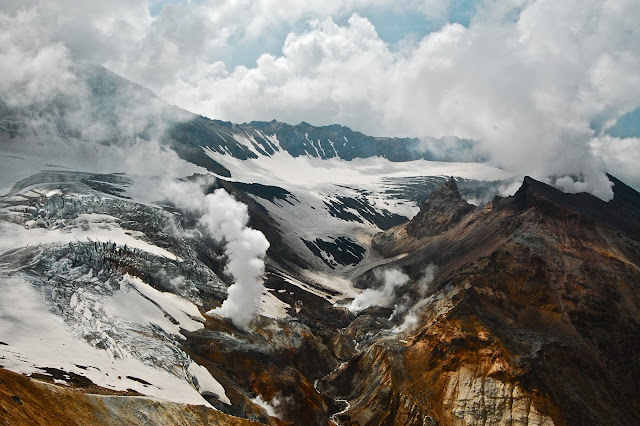 Some of them are formed by vents that release volcanic heat and gases called fumaroles. 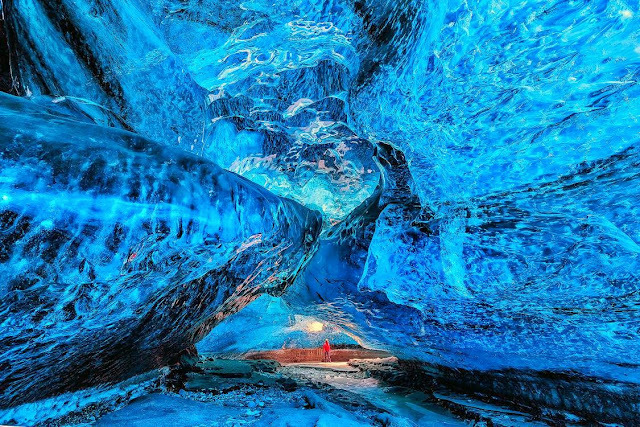 This cave is located in Iceland’s Vatnajokull Glacier, the largest glacier in Europe. Caves like these form due to melting glacial icewater, but they can be dangerous because glaciers are constantly breaking and changing. The Batu Caves in Malaysia have been used by English and Chinese settlers as well as the indigenous Temuan people. 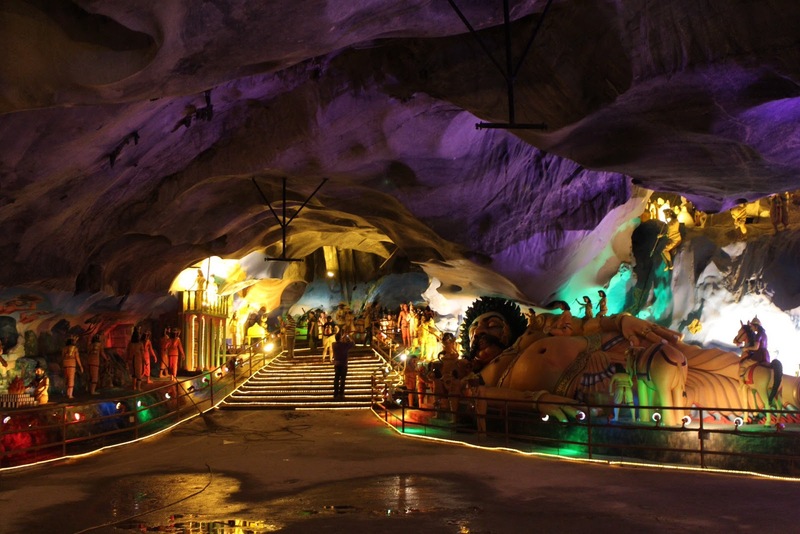 The bat guano in the cave was mined for agricultural purposes, but now the cave is filled with statues and is open to visitors. 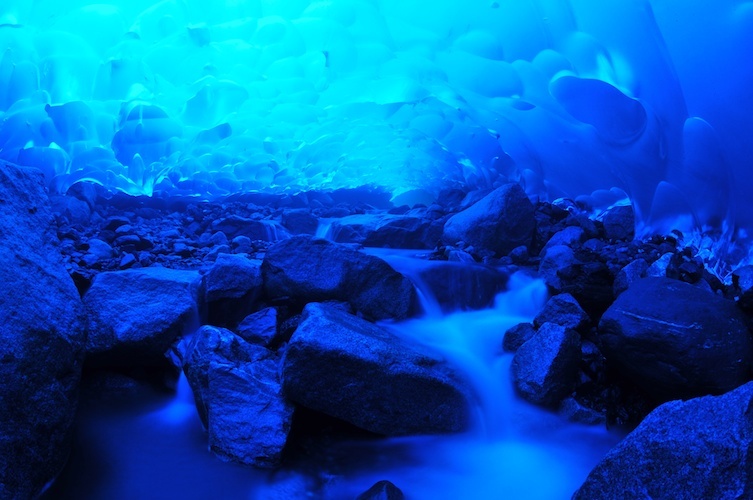 This ice cave is part of the Mendenhall Glacier near Juneau, Alaska. 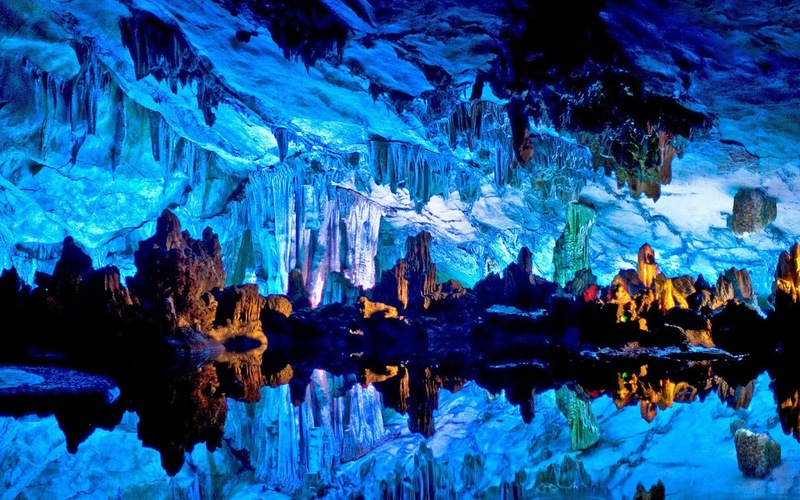 The spectacular cave was carved out of the glacier by melting icewater. 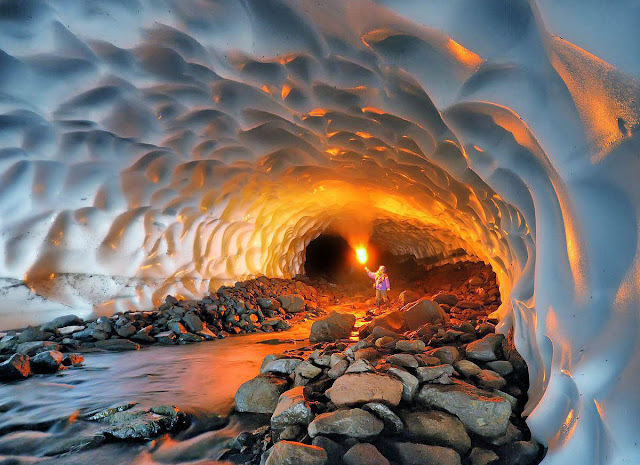 Due to the ever-changing conditions at glaciers, it is unclear whether this cave will still be around for long. 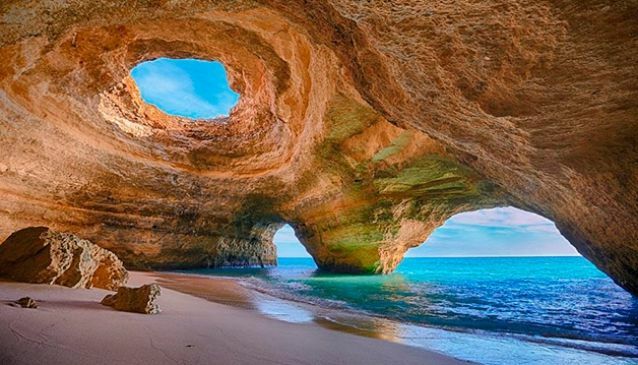 The Algarve region in Portugal, where this cave is located, is prone to various seaside formations because of the rock face’s relative solubility in water. This specific cave near Lagos is accessible only by water. The Waitomo glow worm caves in New Zealand are home to a unique insect, the glow worm. 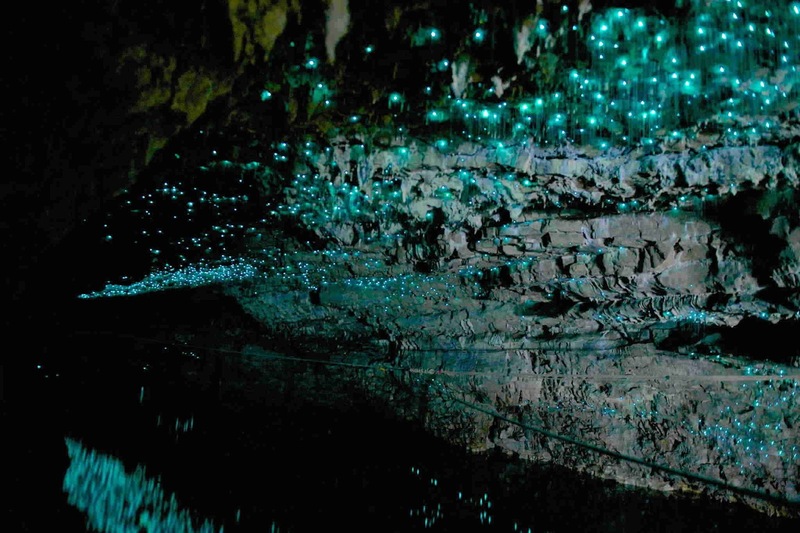 This insect hangs glistening silken strands from the ceiling of the cave and glows to attract unsuspecting prey. 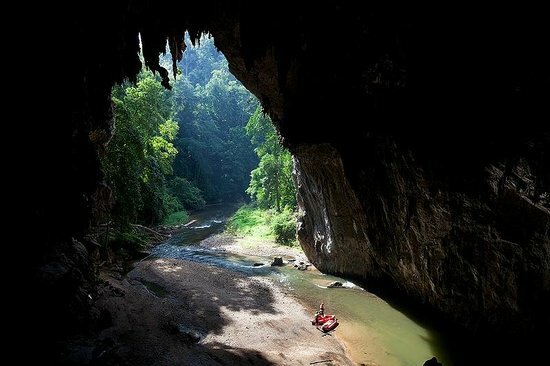 The Nam Lang river runs through the Tham Lod cave in northern Thailand. The cave is filled with beautiful stalactites and stalagmites and is home to hundreds of thousands of Pacific swifts that have adapted to spend parts of their lives in caves. Very little is known about this cave in Kyaut Se, Myanmar, other than that the inside has been fitted as a Buddhist temple. 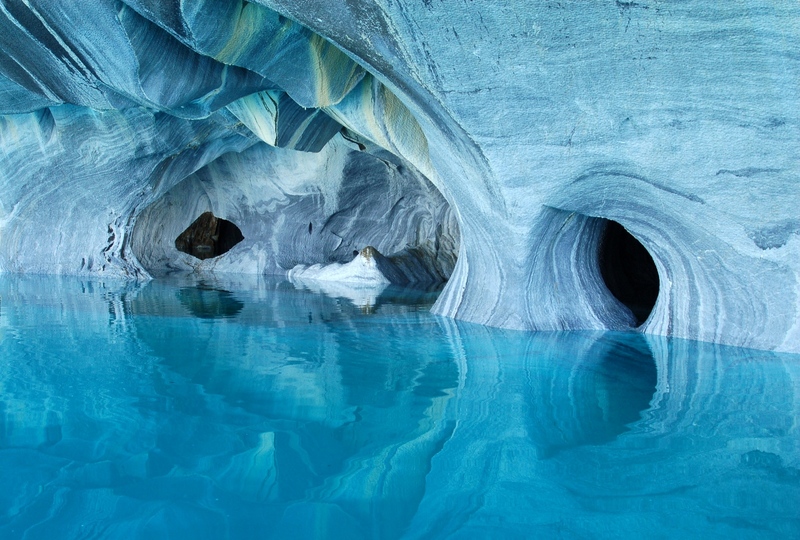 The Marble Caves in Patagonia are known for the spectacular reflections that the turquoise water casts on the white marble ceiling of the cave. 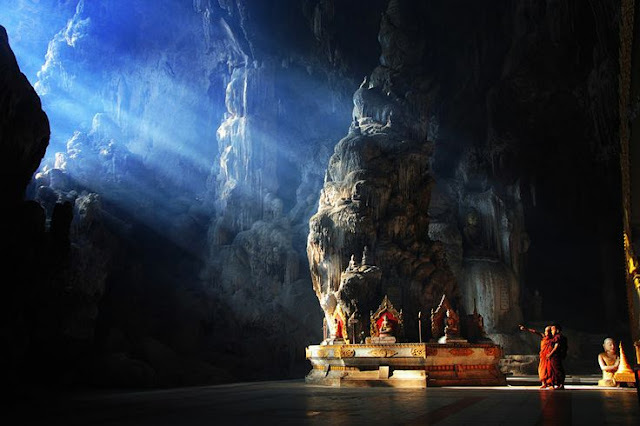 They are also called the Marble Cathedral because of their beautiful and arching forms. 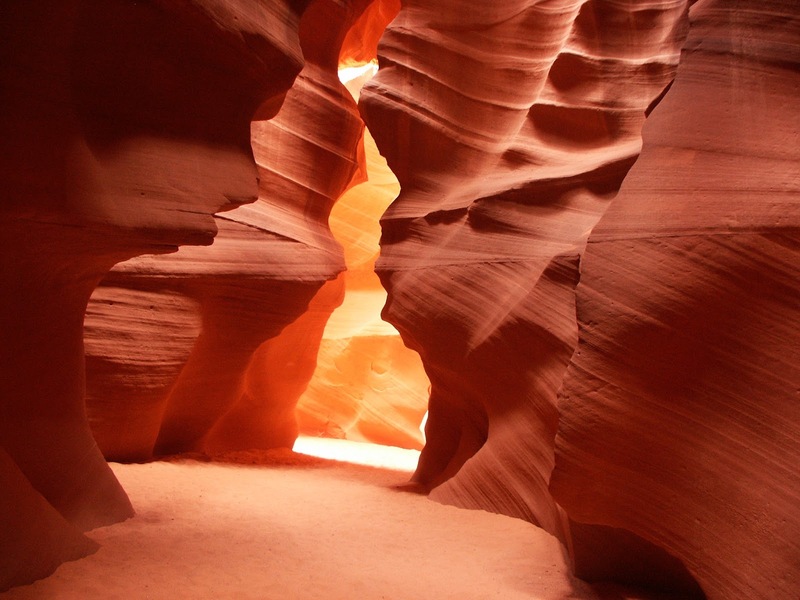 Antelope Canyon in Arizona was carved out by thousands of years of persistent wind and flash floods, which is why its smooth walls look so smooth and fluid. During the desert’s monsoon season, dangerous flash floods can occur without warning from rains that have fallen miles away. These flash floods have taken the lives of quite a few unwary tourists. 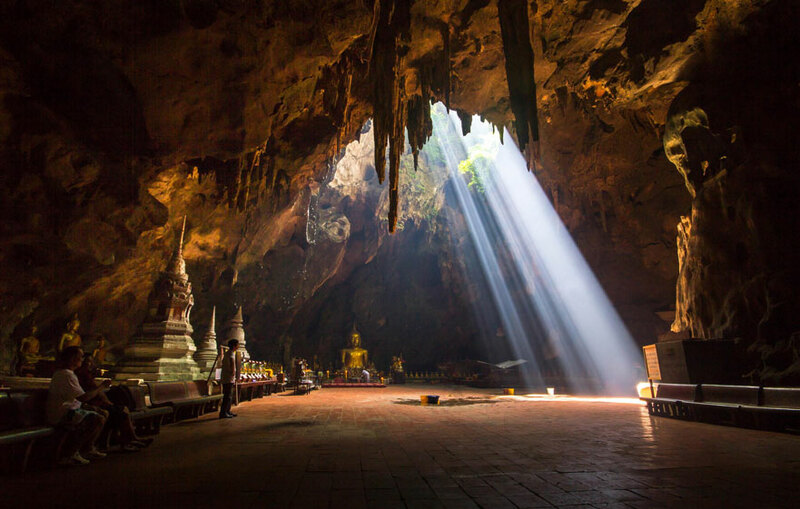 The Phraya Nakhon Cave in Thailand was historically a popular visiting place for local kings because of the illumination provided by the collapsed roofs. The pavilion in the center was built for the visit of King Chulalongkorn in 1890. 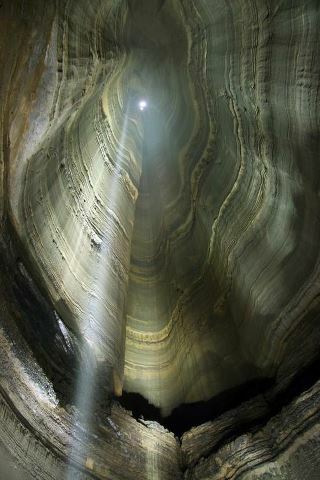 This is the Fantastic Cave pit, part of Ellison’s Cave in Georgia, U.S.A. It is a popular attraction for pit cavers, those who enjoy rappelling down vertical subterranean drops. 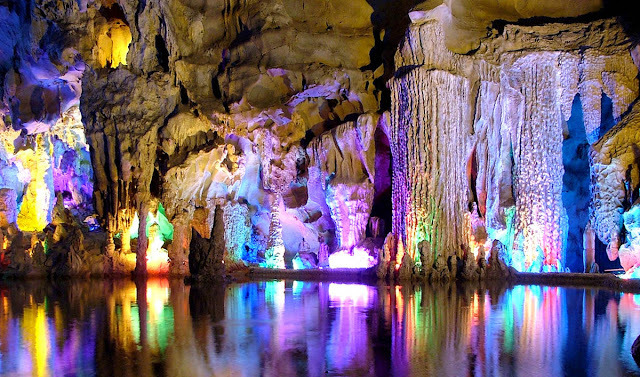 The Reed Flute Cave in Guangxi, China has been visited by tourists for at least 1200 years. 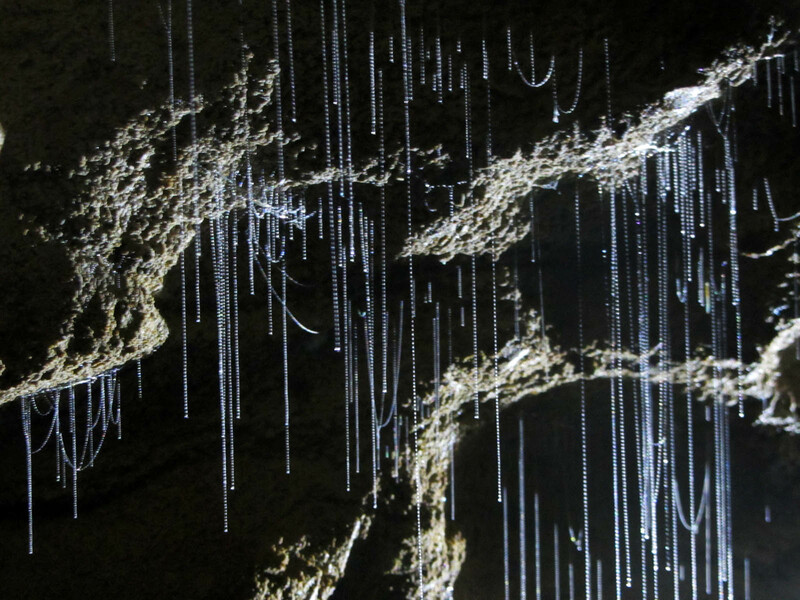 The cave is home to a spectacular array of stalagmites and stalactites. It is named for the reeds that grow at its mouth, which can be made into flutes. There is evidence from around the world today that the position of the shoreline is not constant, even in the geologically short time-span of historical records: harbours built hundreds or thousands of years ago are in some places drowned, in others left high and dry away from the shoreline. The first obvious cause is tectonic activity that moves the crust vertically, as well as the horizontal movements due to plate motion. 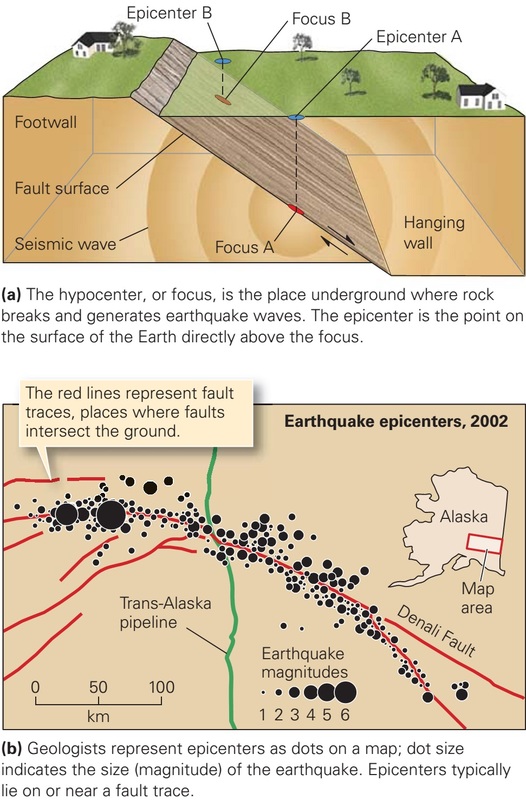 This movement of the crust itself up or down relative to the sea level may affect the crust within a few kilometres of a single fault, or may be large-scale ‘thermo-tectonic’ activity that has an effect on whole continental margins. 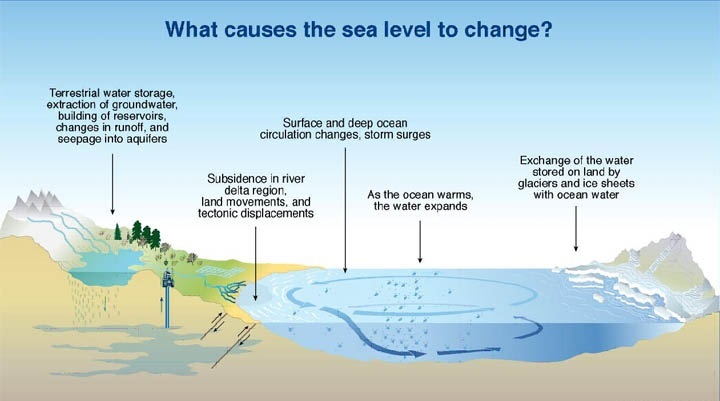 Second, there can be changes in the volume of water in the world’s oceans: this is called ‘eustatic sea-level change’ (eustasy) and is caused by melting and freezing of continental ice caps, among other things. Debates about the effects of global warming on the level of the sea worldwide have brought this phenomenon to the attention of most people. Third, there is the effect of sedimentation: sand, gravel and mud piled up at the shoreline can result in the shoreline moving away from its former position. 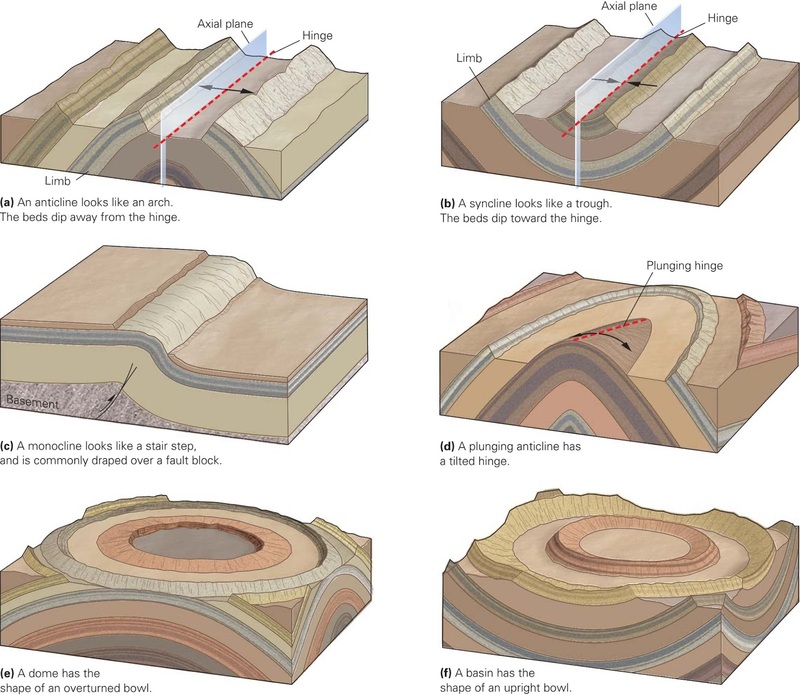 These three factors – tectonic uplift/subsidence, eustatic sea-level rise/fall, and sedimentation – and how they occur, where they occur, their rates and how they interact are fundamental to sedimentology and stratigraphy. The character of sediment deposited in environments ranging from rivers and floodplains to shorelines, shelves and even the deep seas is in some way influenced by these three factors. The study of the relationships between sea-level changes and sedimentation is often referred to as ‘sequence stratigraphy’. In the following sections the principles underlying the basic concepts are considered and then there is an explanation of some of the terminology that has evolved to describe the relationships between strata under conditions of changing sea level. The causes of sea-level fluctuations and the use of a sea-level curve as a correlative tool are also discussed. If the three variables are considered in isolation of each other, five different scenarios can be considered. Consider what will happen to a palm tree growing on a beach and a crab sitting on the sea floor a few hundred metres away. Eustatic sea-level rise: the palm tree is drowned and the crab will find itself in deeper water. Eustatic sea-level fall: the palm tree will end up growing some distance from the shoreline, and the crab is now in shallower water. Uplift of the crust: the palm tree will end up growing some distance from the shoreline, and the crab is now in shallower water. Subsidence of the crust: the palm tree is drowned and the crab will find itself in deeper water. Addition of sediment at the shoreline: the palm tree will end up growing some distance from the shoreline, and the crab is now in shallower water (providing it is not engulfed by sediment, but instead moves up to the new sea floor). It is important to note that scenarios 1 and 4 are exactly the same, and viewed from just one point on the Earth’s surface it is not possible to distinguish between these two possible causes. The same is true of scenarios 2 and 3, which are indistinguishable at a local scale, and often the difference between either of these and scenario 5 can be subtle. The controls on sea level fluctuations are considered but because it is difficult to distinguish between uplift and eustatic sea-level fall on the one hand and subsidence and eustatic sea-level rise on the other, it is usually best to refer to changes in ‘relative sea level’ or ‘relative base level’ when looking at strata in one place. The drowning of a palm tree may therefore be considered to be evidence of a ‘relative sea-level rise’, without any implication of the cause, and in the same way, the crab is now in relatively deeper water. The impact that these relative changes have on processes and products of sedimentation is something that will be considered in the next section, along with the importance of the third factor, sedimentation. Although we may find palm trees fossilised in sedimentary rocks, the evidence for the position of the shoreline and the relative depth of water comes mainly from the character of the sediments themselves. The characteristic facies of sediment deposited at different positions relative to the shoreline and in different depths of seawater were considered. If, therefore, we can establish the water depth/position relative to shoreline by examining the sedimentary facies, we can also recognise relative changes in the shoreline/water depth from changes in those facies. In fact, the analysis of strata in terms of relative sea-level changes can be carried out only if a facies analysis is carried out first. Once all the beds in a succession have been analysed and classified according to environment of deposition using the approaches described in earlier chapters in this book, the effects of sea-level changes on their deposition can then be considered. If there is a relative sea-level rise the shoreline will move landward: this is referred to as transgression. 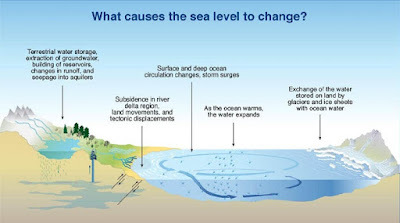 Movement of the shoreline seawards as a result of sedimentation occurring at the coast is called a regression, but if it is due to a relative sea-level fall it is known as a forced regression. The sedimentary response to these changes in shoreline can be preserved in strata as changes in facies going up through a succession, changes that reflect either a landward movement of the shoreline, transgression, or a seaward movement of the shoreline, regression (forced or otherwise). Under conditions of transgression, the shoreline will move to a place that used to be land, and the coastal plain deposits are overlain by beach deposits. Similarly, beach (foreshore) deposits will be overlain by shoreface deposits because the former beach is now under shallow water. The same pattern of changes in facies from shallower to deeper will be seen all the way across the shelf. It is therefore possible to recognise the signature of a transgression in a succession of beds by the tendency for the environment of deposition, as indicated by the facies, to become deeper upwards. If there is a regression, the pattern seen in vertical succession will be the opposite: as the sea becomes shallower, either due to a relative sea-level fall (forced regression) or addition of more sediment (regression), the facies will reflect this: shoreface facies will be overlain by foreshore deposits, offshore transition sediments by shoreface deposits, and so on. 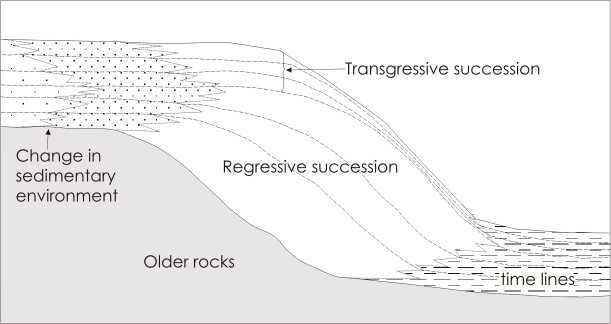 In some circumstances, a forced regression may be distinguished from a simple regression by evidence of erosion in the coastal and shallowest marine deposits: as sea level falls, the river may have to erode the older coastal deposits asitcuts a new path to the shoreline. However, this may not always happen, and depends on rates of sediment supply and the slope of the foreshore/shoreface. Sediment will be deposited in places where there is space available to accumulate material: this is the concept of accommodation (or accommodation space) and its availability is determined by changes in relative sea level. In shallow marine environments an increase in relative sea level creates accommodation that is then filled up with sediment until an equilibrium profile is reached. The equilibrium profile is a notional surface of deposition relative to sea level and sedimentation occurs on any point in the shallow marine environment until this surface is reached: any material deposited above the surface is reworked by processes such as waves and tidal currents. The equilibrium profile is at different positions relative to sea level in different environments: in the foreshore it is at sea level, in the shoreface a few metres below sea level and then progressively deeper through further offshore. Accommodation in shallow marine environments is created by any mechanism that results in a relative rise in sea level, including eustatic sea-level rise, tectonic subsidence and compaction of sea-floor sediments. 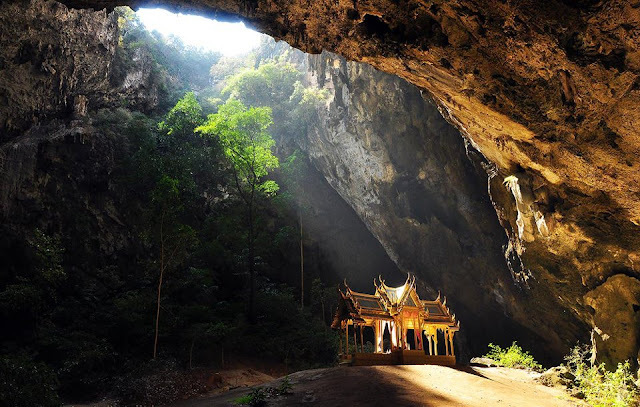 Accommodation is reduced by the addition of sediment to fill the space or by tectonic or eustatic mechanisms that lower the relative sea level. The rate of change of accommodation is determined by the relative rates of relative sea-level change and sediment supply. Deposits in places where there has been a relative sea-level fall will often be eroded, and this can be considered to be a condition where there is negative accommodation. The ideas of accommodation and equilibrium profiles can also be applied to fluvial environments. 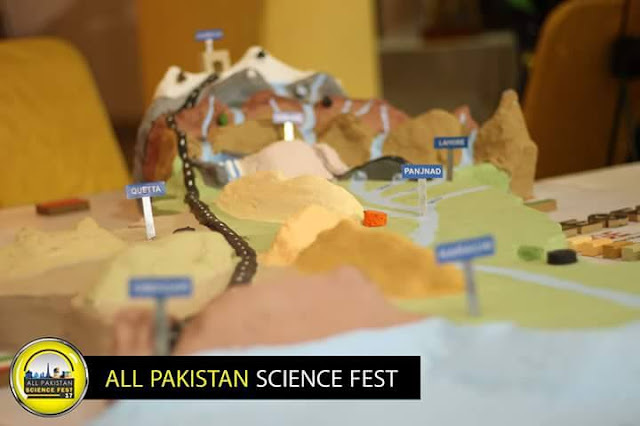 A mature river will erode in its upper tracts and deposit in the downstream parts until it develops an equilibrium profile, whereby the main channel is neither eroding nor depositing. Under these conditions erosion still continues in the hill slopes above the main channel valley, but sediment is carried through the river down to the sea. This profile may be disturbed by a fall in sealevel that creates negative accommodation along part of the profile, resulting in erosion, or by sea-level rise generating accommodation that allows sediment to accumulate in the channels and overbank areas until it returns to the equilibrium position. The concept can also be applied to non-marine systems such as lakes and river systems feeding them, where it is the level of the water in the lake that determines the amount of accommodation available. In the following discussion, accommodation is considered in terms of relative sea level, and depositional systems described are either marine or have marine connections. The same principles can be applied to lacustrine systems and the deposits of large lakes can be considered in terms of relative changes in the lake level. Global eustasy does not directly control the level of water in lakes, but climatic controls are important because the balance between precipitation/run-off and evaporation determines the amount of water in the lake and hence its level. In a previous section it was stated that if there is a relative sea-level rise, the shoreline will move landwards. In fact, this is not necessarily the case: if the rate at which sediment is supplied is greater than the rate at which the sea level is rising, then the shoreline will still move seawards. Similarly, if the rate of sediment supply and the rate of sea-level rise are in balance, the shoreline position does not change. Several different situations can be envisaged when the sea level is rising (either due to subsidence or eustatic sea-level rise) which give rise to different stratal geometries. If the rate of sediment supply is very low then the shoreline will move landward without deposition occurring and with the possibility of erosion. With moderate sedimentation rates, but high rates of sea-level rise, deposition will occur as the shoreline moves landward. If it is a higher sedimentation rate, then as fast as the sea level rises the space is filled up with sediment and the shoreline stays in the same place. At high sedimentation rates, the shoreline will still move seawards, even though the sea level is rising. During periods when the sea level is static the addition of sediment causes the shoreline to shift seawards. At low rates of sea-level fall and/or high rates of sediment supply deposition occurs as the shoreline moves seawards. If the rate of sea-level fall is relatively high and the rate of sedimentation is low, there is no sedimentation, and there may be erosion. A coast undergoing rapid erosion during sealevel fall could theoretically fall into this category. Where a continental ice sheet reaches the shoreline the ice may extend out to sea as an ice shelf. Modern ice shelves around the Antarctic continent extend hundreds of kilometres out to sea forming areas of floating ice which cover several hundred thousand square kilometres. These ice shelves partially act to buffer the seaward flow of continental ice: melting of the floating ice of an ice shelf does not add any volume to the oceans, but if they are removed then more continental ice will flow into the sea and this will cause sea level rise. Ice shelves such as those around the Antarctic contain relatively small amounts of sediment because there is little exposed rock to provide supraglacial detritus, so the main source is basal debris. Ice shelves break up at the edges to form icebergs and melt at the base in contact with seawater. 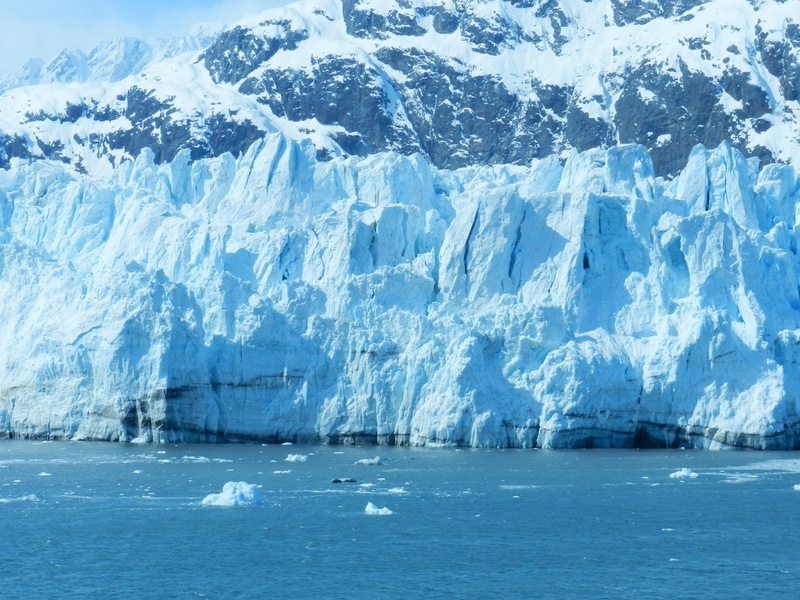 Ice in a marine setting also occurs where temperate or poythermal valley glaciers flow down to sea level: these tidewater glaciers can contain large amounts of both supraglacial and basal debris. Sea ice is frozen seawater and does not contain any sedimentary material except for wind-blown dust. Where continental ice from an ice sheet or valley glacier reaches the shoreline of a shallow shelf the ice may be grounded on the sea floor. The movement of the ice mass and drifting icebergs may locally scour the sea floor, resulting in grooves in soft sediment that may be metres deep and hundreds of metres long. Meltwater flowing subglacially may be under considerable pressure and can erode channels into the seafloor sediment beneath the ice, forming tunnel valleys that subsequently may be filled with deposits from the flowing water. 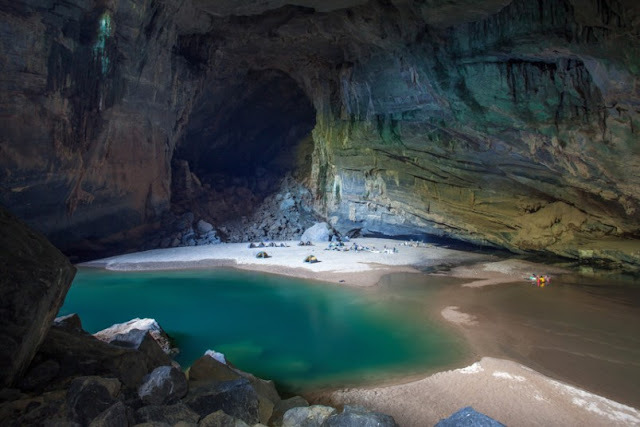 The tunnel-valley deposits and the glacial scours features are preserved within shallow-marine strata in places such as continental shelves that have been covered with ice. The terms till and tillite are also used to describe unconsolidated and lithifed marine glacial, glaciomarine, deposits. The primary characteristics of the material are the same as the glacial sediment associated with continental glaciation. The detritus released from the bottom of an ice shelf forms till sheets, which may be thick and extensive beneath a long-lived shelf. These deposits may be divided into those deposited close to the ice front (ice-proximal glaciomarine sediments), which are typically poorly sorted diamictons with little or no stratification or other sedimentary structures, and ice-distal glaciomarine sediments, which are composed mainly of sediment released from icebergs. The more distal glaciomarine deposits are subject to reworking by shallow marine processes: waves and currents produce a grainsize sorting of material, sand may be reworked to form wave and current bedforms and the finer-grained material may be transported in suspension to be deposited as laminated mud. Mixing of the glacially derived material with other sediment, such as biogenic material, can also occur. The edges of ice shelves break up to form icebergs that can travel many hundreds of kilometres out into the open sea, driven by wind and ocean currents, but they often carry relatively little detritus. Icebergs formed at the front of tidewater glaciers are generally small, but may be laden with sediment. As an iceberg melts, this debris will gradually be released and deposited as dropstones in open marine sediments. Dropstones can be anything up to boulder size and their size is in marked contrast to surrounding fine-grained, pelagic deposits. Although rarely found in deep marine strata, dropstones are important indicators of the presence of ice shelves and hence provide evidence of past global climate conditions. However, similar deposits can also result from sediment released from floating vegetation. Quaternary valley and piedmont glaciers form distinctive moraines but are largely confined to upland areas that are presently undergoing erosion. In these upland areas glacial and periglacial deposits such as moraines, eskers, kames, and so on have a very poor preservation potential in the long term. Of more interest from the point of view of the stratigraphic record are the tills formed in lowland continental areas and in marine environments as these are much more likely to lie in regions of net accumulation in a sedimentary basin. The volume of material deposited by ice sheets and ice shelves is also considerably greater than that associated with upland glaciation. Extensive ice sheets are today confined to the polar regions within the Arctic and Antarctic circles. During the glacial episodes of the Quaternary the polar ice caps extended further into lower latitudes. 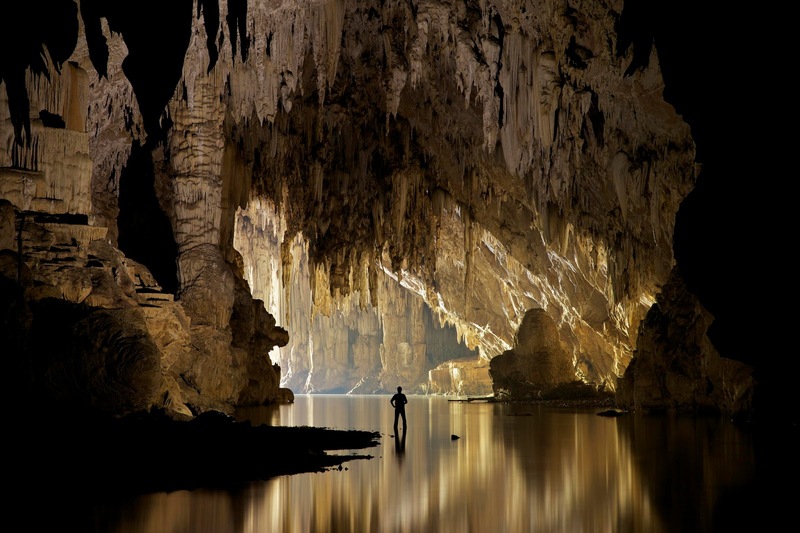 The sea level was lower during glacial periods and many parts of the continental shelves were under ice. Upland glacial regions were also more extensive, with ice reaching beyond the immediate vicinity of the mountain glaciers. The growth of polar ice caps is known to be related to global changes in climate, with the ice at its most extensive when the globe was several degrees cooler. Other glacial episodes are known from the stratigraphic record to have occurred in the late Carboniferous and Permian (the Gondwana glaciation in the southern hemisphere), in the early Palaeozoic and in the Proterozoic. Modern landscapes formerly covered by Quaternary ice sheets display a wide variety of depositional landforms, which have been extensively studied and described by glacial geomorphologists. The depositional characteristics of these features provide information about glacial processes in the past few tens of thousands of years of Earth history and provide a basis for understanding the origins of the landscapes around us. However, most continental glacial deposits are unlikely to be preserved in the stratigraphic record in the long term. 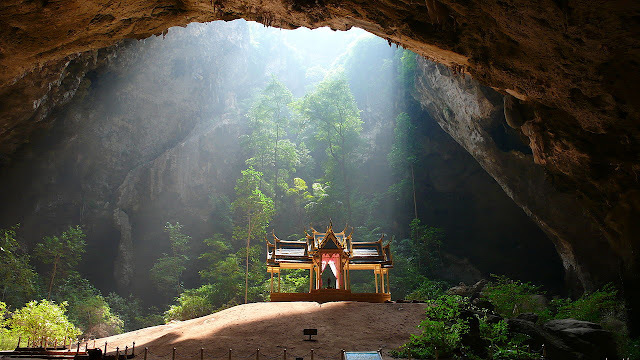 This is because they mainly occur in areas that are only regions of deposition as a consequence of the glacial processes: many of the modern glacial landscapes are undergoing erosion and over time the continental glacial deposits will be reworked and removed. Glacial deposits recognized in pre-Quaternary strata are mostly marine in origin. Accumulations of till formed directly at the margins of a glacier are known as moraine. Several different types of moraine can be recognised. Terminal or end moraines mark the limit of glacial advance and are typically ridges that lie across the valley. Push moraines are formed where a glacier front acts as a bulldozer scraping sediment from the valley floor and piling it up at the glacier front. Dump moraines form at the snout of the glacier where the melting of the ice keeps pace with glacial advance. If a glacier retreats the melting releases the detritus that has accumulated at the sides of the glacier where it is deposited as a lateral moraine. Lateral moraines form ridges along the sides of glaciated valleys, parallel to the valley walls. Where two glaciers in tributary valleys converge detritus from the sides of each is trapped in the centre of the amalgamated glacier and the resulting deposit upon ice retreat is a medial moraine along the centre of a glaciated valley. When a cold glacier retreats, the snout of the glacier is often left with a carapace of detritus left behind as the glacier front has been melting. A few metres thickness of rock debris forms effective insulation and prevents the ice below it from melting. These ice-cored moraines (ablation moraines) give the impression of being much larger volumes of detritus than they really are because most of their bulk is made up of ice. Lodgement tills deposited beneath a glacier may form sheets that can be tens of metres thick, or show irregular ridges known as ribbed moraines. These tills also form smoothed mounds known as drumlins, which are oval-shaped hills tens of metres high and hundreds of metres to kilometres long, with the elongation in the direction of ice flow. In temperate glaciers partial melting of the ice results in rivers flowing in tunnels within or beneath the ice, carrying with them any detritus held by the ice that melted. 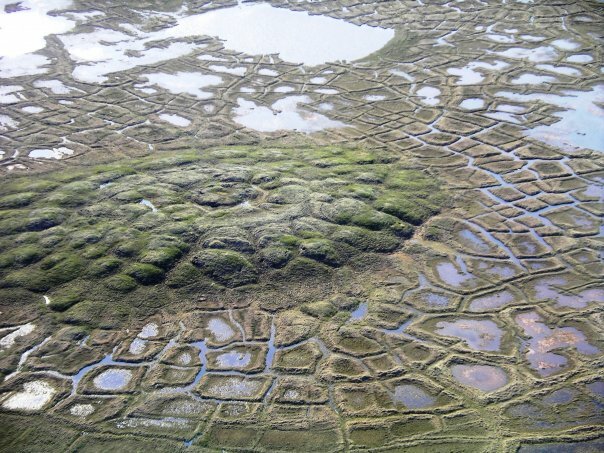 The deposits of these rivers form sinuous ridges of material known as eskers and they are typically a few metres to tens of metres high, tens to hundreds of metres wide and stretch for kilometres across the area formerly covered by an ice sheet. The deposits are bars of gravel and sand that form cross-bedded and horizontally stratified lenses within the esker body. They may be distinguished from river deposits by the absence of associated overbank sediments and by internal deformation (slump folds and faults) that forms when the sand and gravel layers collapse as the ice around the tunnel melts. Kames and kame terraces are mounds or ridges of sediment formed by the collapse of crevasse fills, sediment formed in lakes lying on the top of the glacier or the products of the collapse of the edge of a glacier. 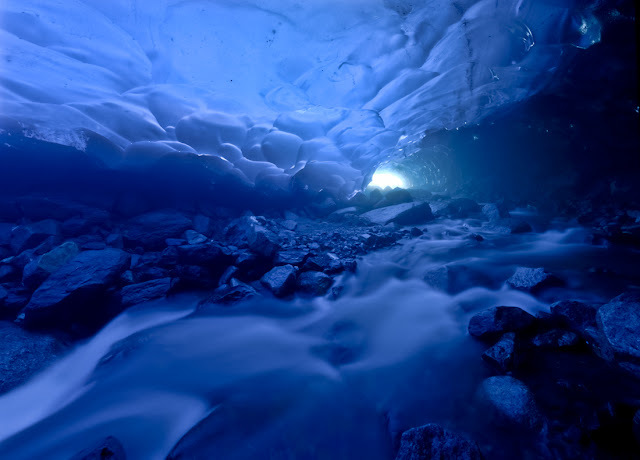 As the front of a glacier or ice sheet melts it releases large volumes of water along with any detritus being carried by the ice. Rivers flow away from the ice front over the broad area of the outwash plain, also known by their Icelandic name sandur (plural sandar). The rivers transport and deposit in the same manner as a braided river. 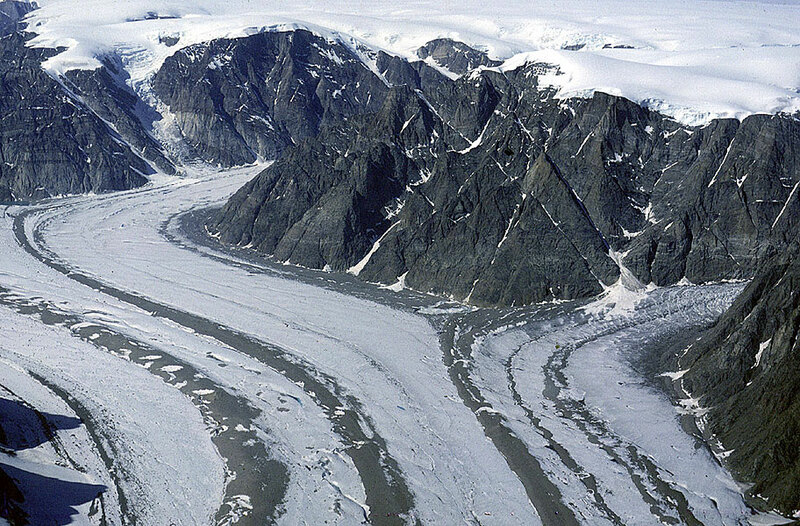 The large volumes of water and detritus associated with the melting of a glacier mean that the outwash plain is a very active region with river channels depositing sediment rapidly to form a thick, extensive braid plain deposit. Outwash plain deposits can be distinguished from other braided river deposits by their association with other glacial features such as moraines. 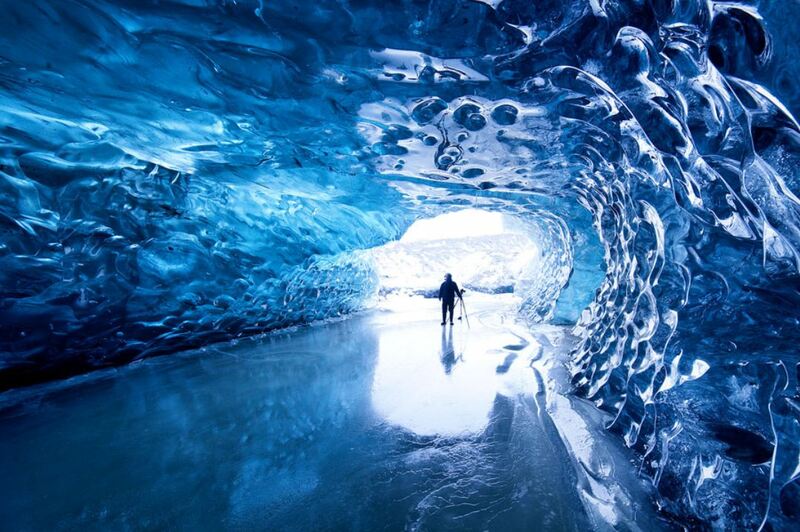 The most spectacular events associated with glacial sedimentation are sudden glacial outburst events known by their Icelandic name as jo¨kulhlaups. The outburst can be either the result of the failure of a natural dam holding back a lake at the front of the glacier or a consequence of melting associated with a subglacial volcanic eruption. Very large volumes of meltwater create a dramatic surge of water and sediment, which may include some very large blocks onto the outwash plain. Deposits of glacial outbursts are thick beds of sand and gravel that are massive and poorly sorted or cross-bedded and stratified. Reworking of this material by ‘normal’ fluvial processes on the outwash plain may occur. The absence of widespread vegetation under the cold climatic conditions means that fine-grained sediment on the outwash plain remains exposed and is subject to aeolian reworking. Sand may be blown into accumulations within and marginal to the outwash plain, forming deposits with the characteristics of wind-blown sediment. Silt- and clay-sized grains may be transported long distances and be widely distributed: accumulations of wind-blown silt of Quaternary age (loess – 8.6.2) are thought to be sourced from periglacial environments. Clasts exposed on the outwash plain may be abraded by wind-blown sediment to form ventifacts. In polar regions the areas that lie adjacent to ice masses are referred to as the periglacial zone. In this area the temperature is below zero for much of the year and the ground is largely frozen to create a region of permafrost. Only the soil and sediment near the surface thaws during the summer, and to a depth of only a few tens of centimetres, below which the ground remains perennially frozen. The thin layer of thawed material is often waterlogged because the water cannot drain away into the frozen subsurface. This upper mobile layer can be unstable on slopes and will slump or flow downslope. Other features of regions of permafrost are patterned ground, which is composed of polygons of gravelly deposits formed by repeated freezing and thawing of the upper mobile layer, and ice wedges, which are cracks in the ground formed by ice that subsequently become filled with sediment. 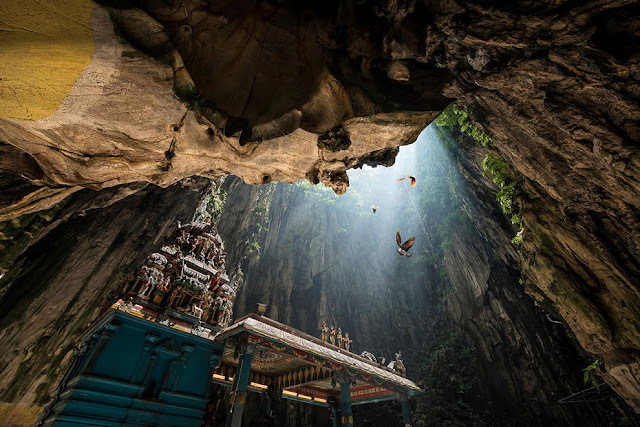 In high mountain areas small cirque glaciers form in protected hollows on mountain sides and are found at high altitudes all over the world, even within a few degrees of latitude from the Equator. Major mountain ranges in moderate and high latitudes also contain valley glaciers, bodies of ice that are confined within the valley sides. In high latitudes valley glaciers may be fed by larger bodies of ice at higher altitudes, which are ice caps that wholly or partially blanket the higher parts of the mountains. The lower slopes of a mountain range may be the site of formation of a piedmont glacier, where valley glaciers may merge and spread out as a body of ice hundreds of metres thick. The geomorphological features associated with the glaciations of the past few hundred thousand years are largely found in upland areas and therefore will not be preserved in the geological record: cirques, U-shaped valleys and hanging valleys are evidence of past glaciation, which, in the framework of geological time, are ephemeral, lasting only until they are themselves eroded away. Smaller scale evidence such as glacial striae produced by ice movement over bedrock may be seen on exposed surfaces, including roche moutone´e. Pieces of bedrock incorporated into a glacier by plucking may retain striae, and contact between clasts within the ice also results in scratch marks on the surfaces of sand and gravel transported and deposited by ice. These clast surface features are important criteria for the recognition of pre-Quaternary glacial deposits. Debris is incorporated into a moving ice mass by two main mechanisms: supraglacial debris, which accumulates on the surface of a glacier as a result of detritus falling down the sides of the glacial valley, and basal debris, which is entrained by processes of abrasion and plucking from bedrock by moving ice. Supraglacial debris is dominantly coarser-grained material with a low proportion of fine-grained sediment. Basal debris has a wider range of grain sizes, including fine-grained rock flour produced by abrasion processes. This basal debris of very fine to coarse material tends to be most abundant in polythermal glaciers because the alternation of pressure melting and freezing of the ice in contact with the bedrock exerts a strong freeze–thaw weathering effect. Melt water between the glacier and the bedrock forms a lubrication zone allowing the ice to move more freely and there is less erosion by the ice. Cold glaciers move only by internal deformation and hence do not erode bedrock. 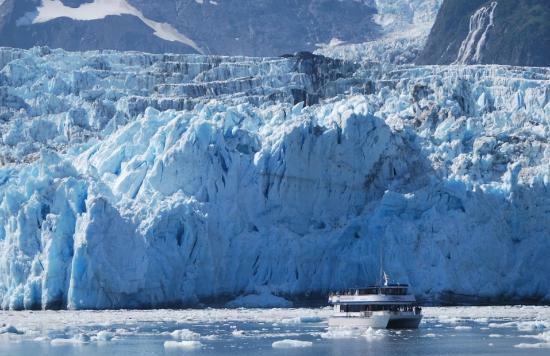 Cold and temperate glaciers therefore carry mainly coarser-grained supraglacial debris. During movement of a glacier the ice mass undergoes deformation, internal folding and thrust faulting that can mix some of the basal and supraglacial debris into the main body of the glacier. In addition, the merging of two or more glaciers brings detritus from the margins of each into the centre of the combined glacier. Some modification of the debris occurs where it is carried along in the basal layer, with abrasion and fracturing of clasts occurring: water in channels within and at the base of the ice (englacial channels and subglacial channels) may also sort sediment carried in temperate glaciers. Supraglacial detritus is usually unmodified during transport and retains the poorly sorted, angular character of rockfall deposits. The general term for all deposits directly deposited by iceistill if it is unconsolidated or tillite if it is lithified. These terms are genetic, that is, they imply a process of deposition and should therefore not be used as purely descriptive terms: for example, a bed may be described as a matrix-supported conglomerate, but because a deposit of this description could be formed by a number of different mechanisms in different environments (e.g. on alluvial fans and associated with submarine slumps), the beds may or may not be interpreted as a tillite. To overcome this problem, the terms diamicton and diamictite are commonly used to describe unlithified and lithified deposits of poorly sorted material in an objective way, without necessarily implying that the deposits are glacial in origin. (It is noteworthy, however, that these terms, along with diamict for both unlithified and lithifed material, are rarely used by sedimentologists for deposits of pre-Quaternary age, and hence their use tends to be associated with glacial facies.) Tills can be divided into a number of different types depending on their origin. Meltout tills are deposited by melting ice as accumulations of material at a glacier front. Lodgement tills are formed by the plastering of debris at the base of a moving glacier, and the shearing process during the ice movement may result in a flow-parallel clast orientation fabric. Collectively meltout and lodgement tills are sometimes called basal tills. Flow tills are accumulations of glacial sediment reworked by gravity flows. Glacial erosion processes result in a wide range of sizes of detrital particles. As the ice movement is a laminar flow there is no opportunity for different parts of the ice body to mix and hence no sorting of material carried by the glacier will take place. Glacially transported debris is therefore typically very poorly sorted. Fragments plucked by the ice will be angular and debris carried within ice will not undergo any further abrasion, and only material on the top of an ice body will be subject to weathering processes. In addition to the poor sorting, debris carried by glaciers is very angular and the overall texture is therefore very immature. The constituents of tills and tillites are the products of weathering in cold environments, where physical weathering processes break up the rock but chemical weathering does not play an important role. 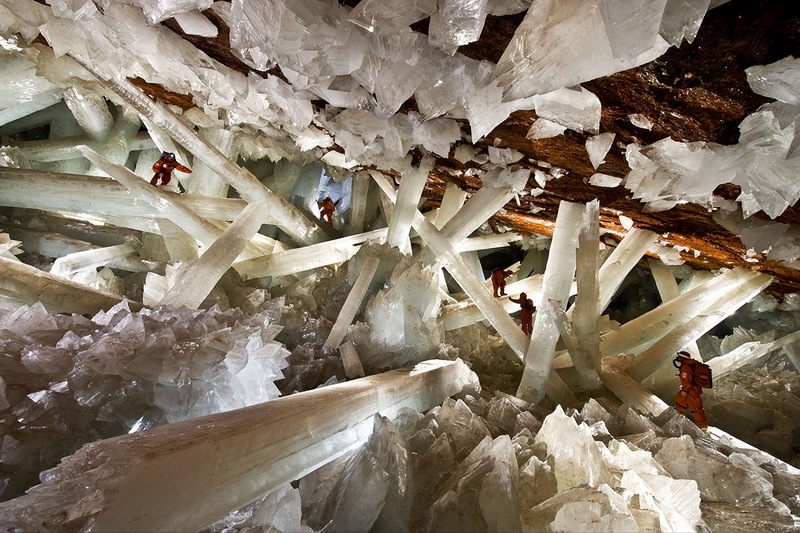 For this reason, the mineral composition of the deposit may be very similar to that of the bedrock and unaltered lithic fragments are common. 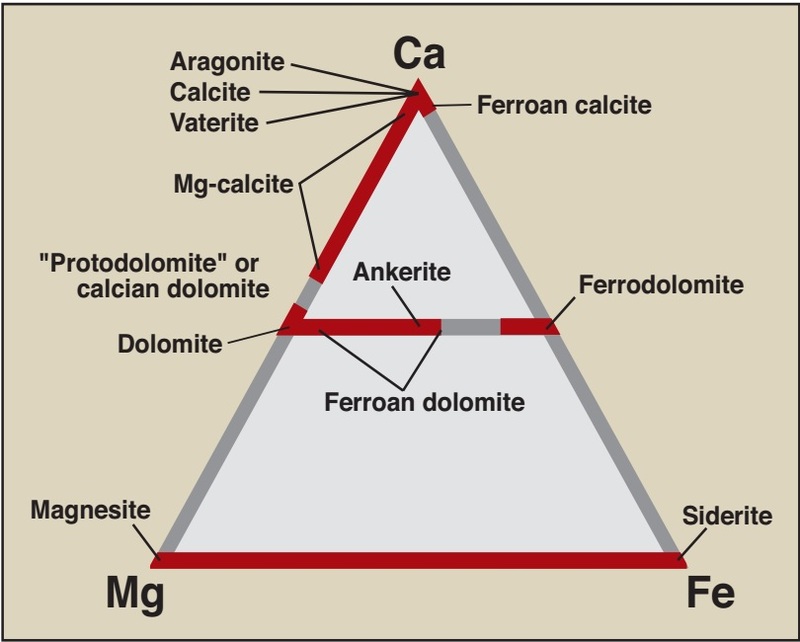 Clay minerals are often rather uncommon even in the fine-grained fraction of a till because clays form principally by the chemical weathering of minerals and in glacial environments this breakdown process is suppressed. The fine-grained rock flour formed by glacial abrasion is different in composition to similar grade sediment produced by other mechanisms of weathering and erosion. Rock flour consists of very small fragments of many different minerals. In contrast the same sized material produced by chemical weathering typically consists of clay mineral sand fine-grained quartz. Unlike clay minerals the fine particles in rock flour do not flocculate and tend to remain in suspension for much longer periods of time. This high proportion of suspended sediment gives the characteristic green to white colour to lakes fed by glacial melt waters. 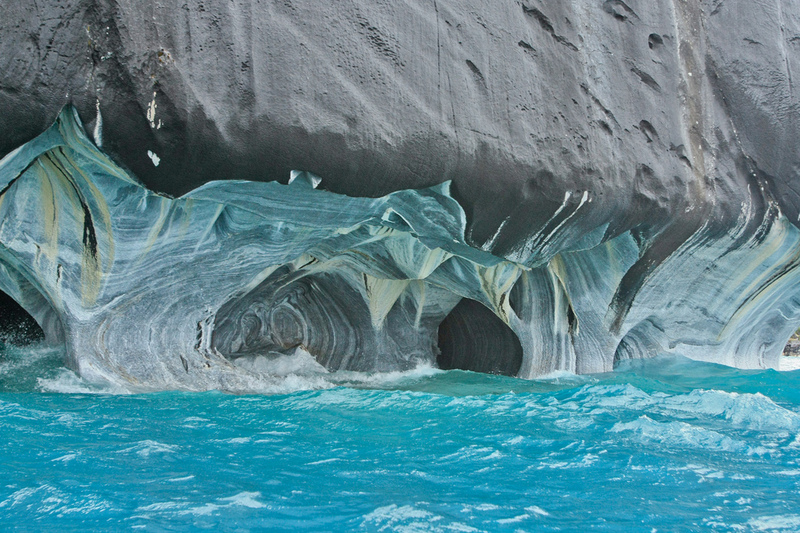 Material carried by a glacier is not necessarily all the result of glacial erosion. Valley sides in cold regions are subject to extensive freeze–thaw weathering, the products of which fall down the valley sides onto the top surface of the glacier. In more temperate regions detritus may also be washed down the valley sides by overland flow and by streams, which are active during the summer thaw. 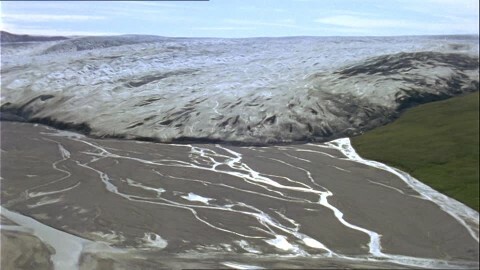 Streams may also form on the surface of a glacier or ice sheet during warmer periods and their action may contribute to the transport of debris. 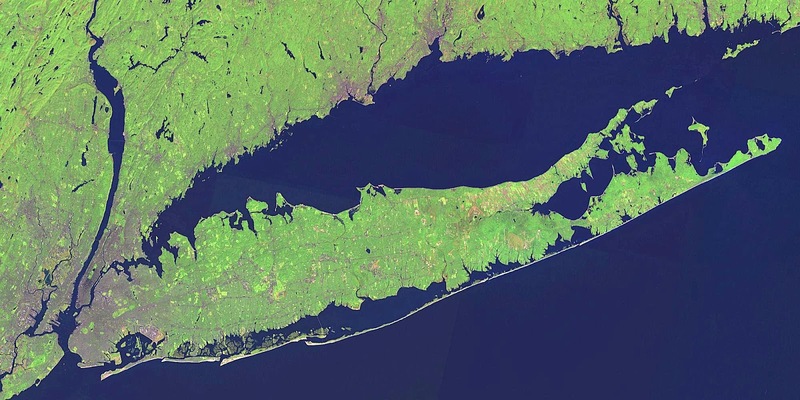 Along some coastlines a barrier of sediment separates the open sea from a lagoon that lies between the barrier and the coastal plain. Beach barriers are composed of sand and/or gravel material and are largely built up by wave action. They may be partially attached to the land, forming a beach spit, or wholly attached as a welded barrier that completely encloses a lagoon, or can be isolated as a barrier island in front of a lagoon. In practice, the distinction between these three forms can be difficult to identify in ancient successions and their sedimentological characteristics are very similar. Barriers range in size from less than 100 m wide to several kilometres and their length ranges from a few hundred metres to many tens of kilometres. The largest tend to form along the open coasts of large oceans where the wave energy is high and the tidal range is small. The seaward margin of a barrier island has a beach and commonly a beach dune ridge where aeolian processes rework the sand. Vegetation helps to stabilise the dunes. On the landward side of the island the layers of sand deposited during storms pinch out into the muddy marshes of the edge of the lagoon. During storm surges seawater may locally overtop the beach ridge and deposit washovers of sediment that has been reworked from the barrier and deposited in the lagoon. Washover deposits are low-angle cones of stratified sands dipping landwards from the barrier into the lagoon. The conditions required for a barrier to form are as follows. First, an abundant supply of sand or gravelsized sediment is required and this must be sufficient to match or exceed any losses of sediment by erosion. The supply of the sediment is commonly by wavedriven longshore drift from the mouth of a river at some other point along the coast and there may also be some reworking of material from the sea bed further offshore. Second, the tidal range must be small. In macrotidal settings the exchange of water between a lagoon and the sea during each tidal cycle would prevent the formation of a barrier because a restricted inlet would not be able to let the water pass through at a high enough rate. Barrier systems are therefore best developed in microtidal and, to some extent, mesotidal settings. Third, barrier islands generally form under conditions of slow relative sea-level rise. If there is a well-developed beach ridge, the coastal plain behind it may be lower than the top of the ridge. With a small sea-level rise, the coastal plain can become partially flooded to form a lagoon, and the beach ridge will remain subaerial, forming a barrier. For the barrier to remain subaerial as sea level rises further, sediment must be added to the beach to build it up, that is, the first condition of high sediment supply must be satisfied. Lagoons are coastal bodies of water that have very limited connection to the open ocean. Seawater reaches a lagoon directly through a channel to the sea or via seepage through a barrier; fresh water is supplied by rainfall or by surface run-off from the adjacent coastal plain. If a lagoon is fed by a river it would be considered to be part of an estuary system. They are typically very shallow, reaching only a few metres in depth. Lagoons generally develop along coasts where there is a wave-formed barrier and are largely protected from the power of open ocean waves. Waves are generated by wind blowing across the surface of the water, but the fetch of the waves will be limited by the dimensions of the lagoon. Ripples formed by waves therefore affect the sediments only in very shallow water. The wind may also drive weak currents across the lagoon. 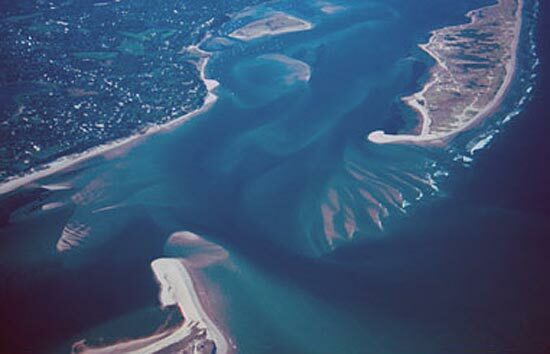 Tidal effects are generally small because the barrier– lagoon morphology is only well developed along coasts with a small tidal range. Fine-grained clastic sediment is supplied to lagoons as suspended material in seawater entering past the barrier and in overland flow from the adjacent coastal plain. Organic material may be abundant from vegetation which grows on the shores of the lagoon. In tropical climates, trees with aerial root systems (mangroves) colonise the shallow fringes of the lagoon. Mangroves cause the shoreline to prograde into the lagoon as they act as sites for accumulation of sediment and organic matter along the water’s edge. In more temperate climates, saline-tolerant grasses, shrubs and trees may play a similar role in trapping sediment. Coarser sediment may enter the lagoon when storms wash sediment over the barrier as washover deposits, which are thin layers of sand reworked by waves. Sand is also blown into the water by onshore winds picking up material from the dunes along the barrier. An important characteristic of lagoons is their water chemistry. Due to the limited connection to open ocean, it is common for lagoon water to have either higher or lower salinity than seawater. Low salinity, brackish water will be a feature of lagoons in areas of high rainfall, local run-off of fresh water from the coastal plain or small streams. Mixing of the lagoon water with the seawater is insufficient to maintain full salinity in these brackish lagoons. 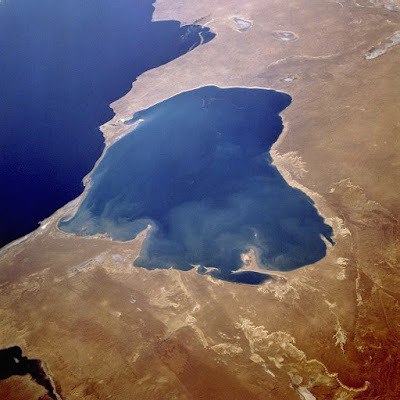 In more arid settings the evaporation from the surface of the lagoon may exceed the rate at which seawater exchanges with the lagoon water and the conditions become hypersaline, that is, with salinities higher than that of seawater. 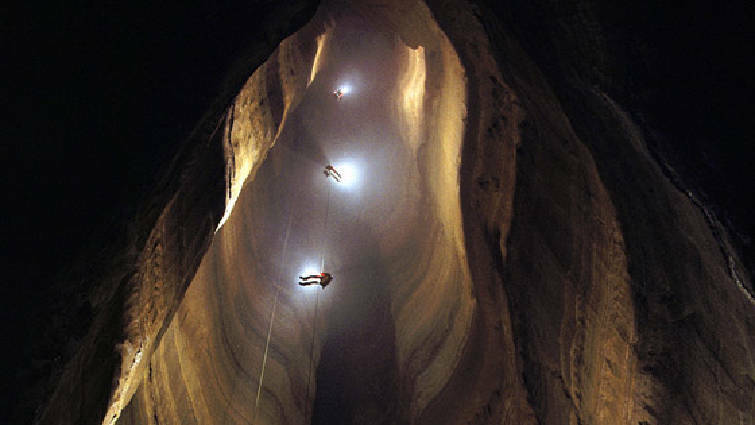 If salinities become very elevated, precipitation of evaporite minerals will occur. A lagoonal succession is typically mudstone, often organic-rich, with thin, wave-rippled sand beds. The deposits of lagoons can be difficult to distinguish from those of lakes with similar dimensions and in similar climatic settings. The processes are almost identical in the two settings because they are both standing bodies of water. Two lines of evidence can be used to identify lagoonal facies. First, the fossil assemblage may indicate a marine influence, and specifically a restricted fauna may provide evidence of brackish or hypersaline water. Second, the association with other facies is also important: lagoonal deposits occur above or below beach/barrier island sediments and fully marine shoreface deposits.